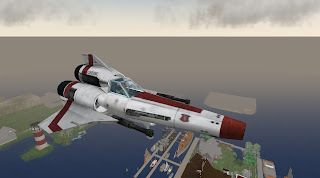 I hope I didn't disturb too many of my neighbors with my antics, but a few hours ago I was practice flying my Mark II Viper around my home areas of Caledon Regency and Antiquity Cove. 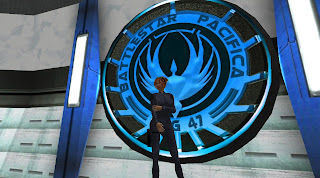 I'm preparing for any pilot opening slots in the Battlestar Galactica roleplay sim known as Battlestar Pacifica BSG47. 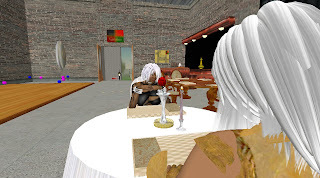 If you would like to join the Second Life Bloggers group, you can find it by doing a search under the groups tab, or IM me inworld, or better yet, send me a notecard requesting membership and include your blog URL. 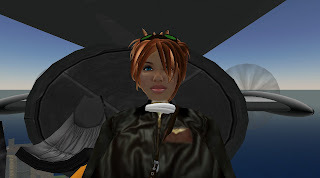 If it isn't already included in my links of over 500 Second Life sites, I'll go ahead and add your blog. A Stroll Through Caledon: RegencyFest is ON!!!! Caledon Regency's Official Opening September 29! "Come out and have fun and silliness as Caledon Regency officially celebrates its opening!!!! The RegencyFest Planning Committee (Mr. Drystan Knight and wife Lady Shaylee Greenspan, Lady Edwina Heron, Miss Zoe Connolly, Miss Violet Schnabel, Mr. Nix Sands, Miss Eugenia Burton, and myself) have finalized the schedule for RegencyFest on September 29...."
"Well the headline says it all…but: Today at 1pm (SL Time) we’re having our SL bloggers meet in Topgol! Featuring live electronic music set by the one and only October Hush!....." Regency Fest will be held as an all day event Saturday September 29th, A Regency Fest Ball will be held from 4-7 SL Time at the Ball Room of Mr Nix Sands, Guided tours will be available at various times throughout the day, and local residents will have open houses (this is optional per resident). A more detailed schedule will be available once it is hammered out. My lighthouse will be redesigned and I'm very excited about the new concept. I'm hoping to have the new build ready by the end of October 2007. Thanks very much to my architect and GF Tiana Meriman for putting up with all my changes and requests. 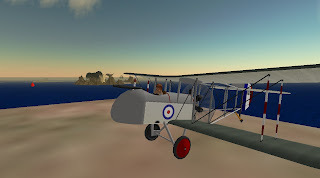 I missed my opportunity for suitable parcels in the upcoming Caledon Wellesian sim....however, Caledon Guvnah Desmond Shang is aware of my plan for the first Caledon Airfield and really likes the idea. 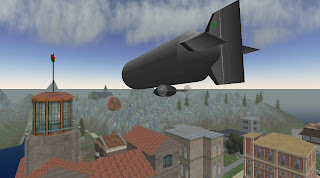 We're going to try to incorporate a suitable parcel in the next sim or the one after. More news as it becomes available. And I promised Guvnah Shang I would not reveal any maps until they appeared at his mansion first, so I'm afraid I have no snapshots for your perusal. The Connolly Airpark will allow launches and landings of various balloons, airships, and flying machines. It will be a venue for the aviator/aviatrix set. Duchess Zoe Connolly? It could happen....I've asked the Guvnah to add my name to the Duchy list. Not everything I've been purchasing lately is steampunk related. I couldn't resist this executive helicopter I saw during explorations months ago. I finally bought one last week...It seats 8! Flying near The Connolly Lighthouse in Caledon Regency. 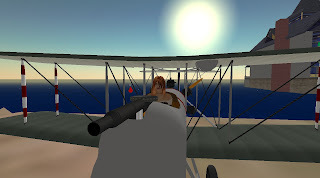 "I was shocked to read Miss Zoe's blog entry that she had been accused of being a spy. I had started to post a response on her blog but then thought that more was needed than just that. First let me say that anyone who knows her knows that the accusation is absolutely ridiculous. Miss Zoe has spent countless hours across the various Steampunk sims trying to unite us all...."
Tonight I was accused of being a spy for New Babbage against my beloved Caledon. I didn't know whether to laugh or cry at this....but I mostly cried on a few shoulders... I'm still upset over it...I want so very much to create alliances between all the Victorian steampunk lands I love...I fear my efforts are lost. The Logo Contest is officially closed. We have a winner and a new logo for the Second Life Bloggers group and the Second Life BloggerCon 2008 group. 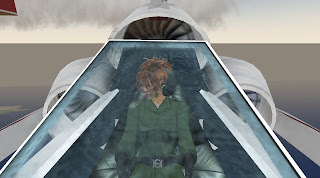 The winner is Vint Falken, who will receive the prize of 5000 Linden dollars for her excellent design. I want to thank dinee and Veyron for helping me raise funds for the cash prize, all the logo designers for participating, and all the members who voted. Thanks very much to all of you. Sometimes leading this bunch is like herding cats, but it's all worth it to me! Logo Contest voting will remain open until Sunday the 16th at 12:00 PM SL time. Make sure your readers know about the contest and encourage all Second Life Bloggers group members to vote. "News from Tombstone will now be posted directly to The Connolly Telegraph... In an effort to consolidate resources as well as considerations of time management, all things related to Tombstone and other wild west sims and blogs will now be posted to The Connolly Telegraph...."
The polls are still open for the Logo Contest until Sunday the 16th at 12:00 PM SL time. The Connolly Telegraph: Are there signs of Inter-Sim Co-operation? 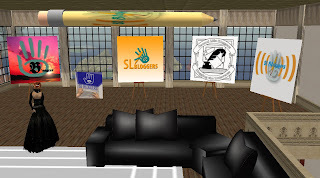 Voting for the best SL Bloggers Logo is now open for members of my Second Life Bloggers Group. Voting will end on Sunday September 16th 2007 at 12:00 PM SL time with the winner announced that afternoon. 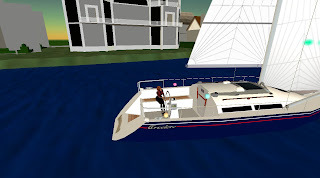 Special thanks to dinee Ghia for providing half of the 5000 Linden cash prize with me. The Logo Contest Entry Phase will close at 12:00 PM SL time today. I'll open voting as soon as I get all logos displayed, but I still need Looker and Dalien to send me their logos with full-permissions. Also, I'll have an officer meeting at 2:00 PM SL time today. This is closed to officers and invited guests only. I'll be in my office in Antiquity Cove until 12:30 AM SL time Thursday morning. 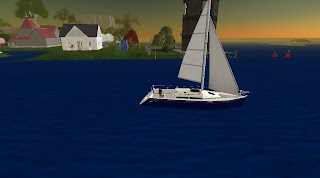 Here are two snapshots of me sailing around the various Antiquity waterway sims not too far from my Antiquity Cove parcel where I have a cottage and offices for The Connolly Telegraph and the Second Life Bloggers group. Tiana and I got together Monday evening to watch the movie "Night at the Museum"
I'll really need to watch it again when she's not around. A movie trailer from the creators of Face/Off and Facebook. I'm searching for a logo for the Second Life Bloggers Group. dinee and I will award 5000 Linden Dollars to the designer of the best Logo. Winners will be decided by our group members. 1 ) Send a 512 x 512 Texture to my inventory. It would be helpful to add your logo texture to a flat notecard-giving object with a bio/description. Please make the object modifiable. Group members will vote on the winner. 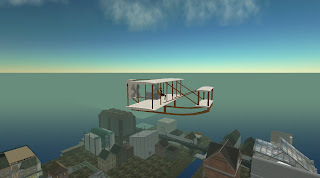 Contest Entries will be displayed at the new Connolly Telegraph and Second Life Bloggers Headquarters in Antiquity Cove. 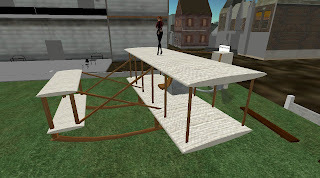 Click here for the SLurl to Zoe's parcel in Antiquity Cove. Entry Deadline is 12:00 PM SL time Sunday September 9th. Voting will start at 12:00 PM SL time Sunday September 16th. and remain open until 12:00 PM SL time Sunday September 23rd. Disclaimer: Linking to this post is "All Voluntary Of Course"
We will not have a wedding as we feel a partnership and display of our names on each others profiles says it all. Instead, Tiana and I have decided to have a party in celebration. We'll work out the details soon. Although many have come close, Tiana has captured my heart like no other. She is the most wonderful girl I've ever met in SL. Talented, creative, loving, giving, and patient with her busy girlfriend. I've been very happy to know Tiana since the day we first met inworld and we would both be delighted if our friends could share in celebration with a dance party/rave. Entry Deadline is now 12:00 PM SL time Sunday September 9th.